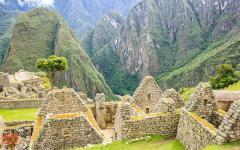 Best of Peru, Argentina & Brazil Tour: Inca Ruins, Falls & Samba! Indulge in the grand colors of South America on this unique, tailored tour that will give you the stunning world of Incan Ruins, the ineffable beauty of the Amazon, the grandeur of Iguacu Falls, and the rhythm of Rio de Janeiro. 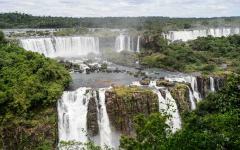 See the rainbows shine between the epic waterfalls of Iguacu. Let the beat of Samba move you in Rio. Experience the vibrant textiles of the Andes. 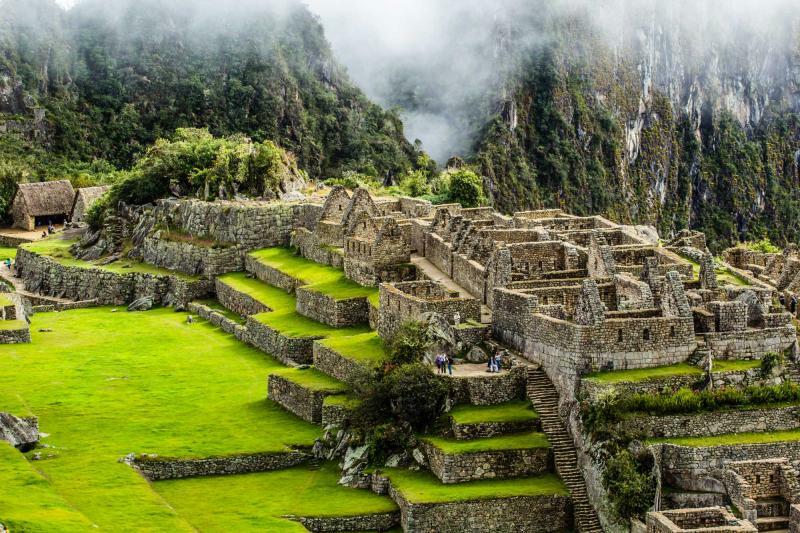 Watch the clouds disappear over Machu Picchu as the stones glisten against the green plateau. Experience the wonders of South America and let the colors shine over you. Adventure through the heart of South American wonders on this 17-day customized tour meant for adventurers, wonderers, dancers, cultural seekers, waterfall watchers, and anyone curious enough to want to travel to South America. Journey through the Andes to see spectacular ruins or safari in the Amazon Rainforest where the trees can be as beautiful as the animals, and the animals can be as elusive as a flower petal. Discover the power and majesty of both sides of Iguacu Falls before journeying to Rio de Janeiro to experience the breathtaking culture of the city and the country of Brazil. See where the culture of nature meets cultural history and creates magic. 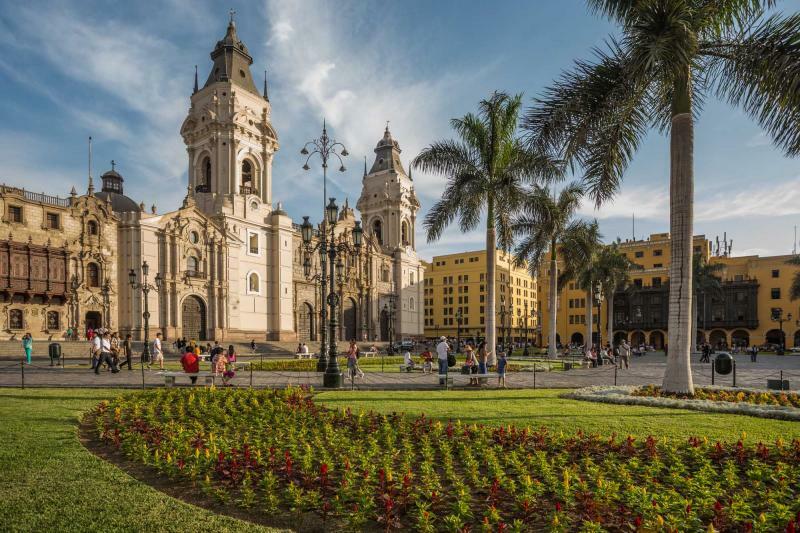 Begin your journey through South America with your arrival in Lima, Peru. Tours to Peru frequently start in The City of Kings, and the city welcomes you into the culture of the country with eclectic neighborhoods and sensational sights. The historic center bursts with opulent Spanish history and the Church of San Francisco stands lightly above the city streets and the dark in the catacombs beneath them. In Cusco you will tour through the beautiful cobblestone streets that meander through the hills of the Andes. Incan ruins are never too far away among the Spanish architecture that lines the streets. Outside of the city you will enter the Sacred Valley to visit the beautiful village of Pisca, where the vibrant shaded textiles of the Andes come alive, as do the colorful people. Ollantaytambo sits beneath Incan ruins that have been carved into the mountainside. Deeper into the valley you will arrive in the mountains and venture to see Wiñawayna; these grand ruins overlook the Urubamba River from where you can hike the Incan Trail to the Sun Gate and discover the Lost City of Machu Picchu. 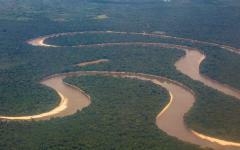 Continue your adventure at the Manu Wildlife Center at the Amazon Basin. Safari through the trees and see the monkeys running along the branches. Hear the birds chirping and calling in the canopy. The gentle river runs along the tree line while you can watch the colorful macaws swoop onto the clay licks. 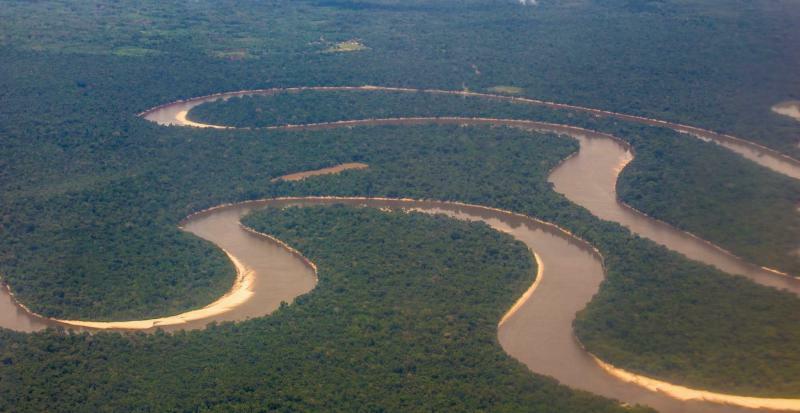 Scour the river and search the trees and lakes during you sensational time in the Amazon before you return to Lima and depart Peru. 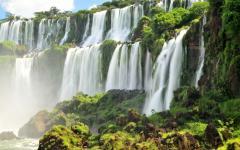 Experience the sensational sight of Iguacu Falls on the Argentine and Brazil border. The water thunders over the cliffs in 420 different falls, creating misty clouds and damp air around the city. Meander around the national park and along the wooden boardwalks to experience the depths and sensation of the various torrents. 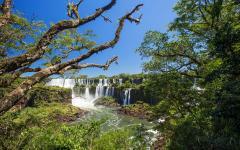 Enter the Brazilian side of Iguacu to witness the grandeur of the lush falls in its entirety. 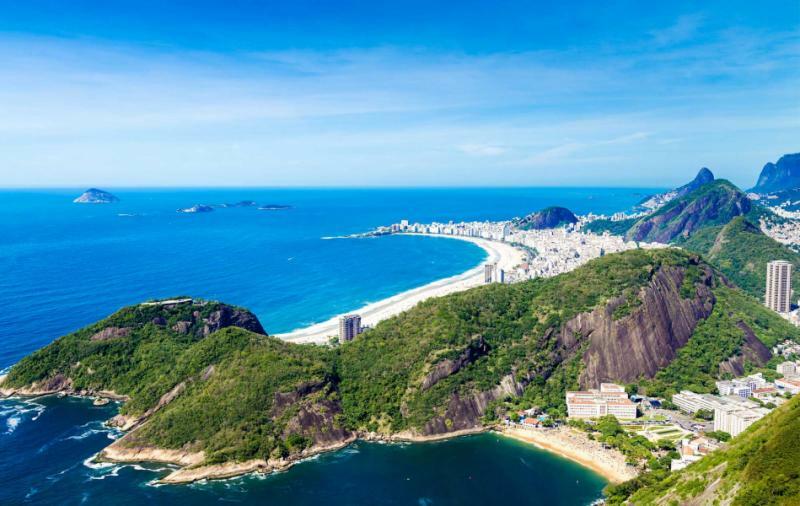 Arrive in Rio de Janeiro where the rhythm of the city brings you to life. The colors are vibrant in the streets and in the people, filling every day with smiles and a zest for living. Enjoy exploring the city with a train ride to see Christ the Redeemer, and take the gondola ride up Sugar Loaf Mountain where you can view the entire city. Be guided through the city to learn about Rio and Brazil’s history and the importance of its culture. 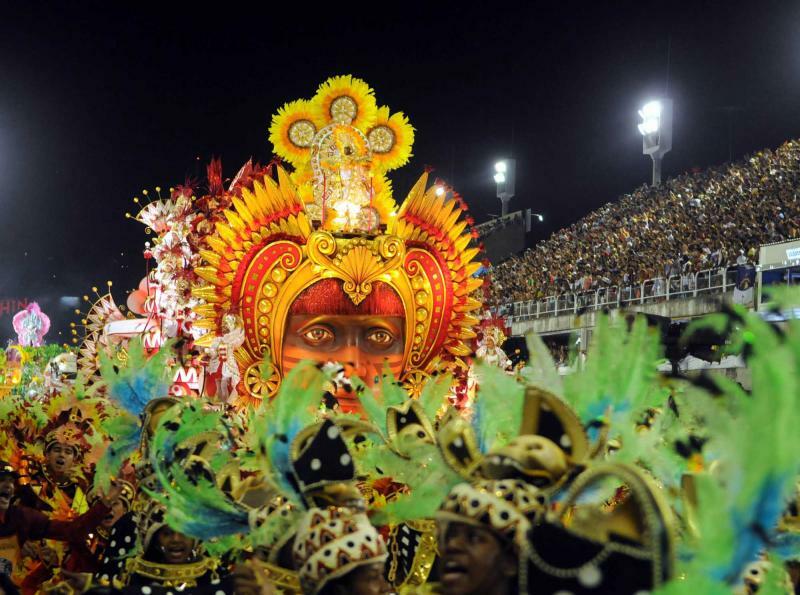 View a Samba show where you will experience the rhythm of Rio’s vivacity and its vibrant connection to color and zest. Your journey through South America takes you from the mountains of Peru to the falls of Iguacu and down to the wonders of Rio; though it is time for your journey home you will never forget the colors of the Andes, the culture of Brazil, and the exploration of the Amazon. 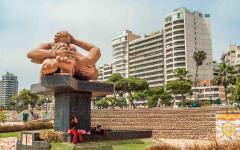 Arrive in Lima, the City of Kings, with the eclectic mixture of the city before you. 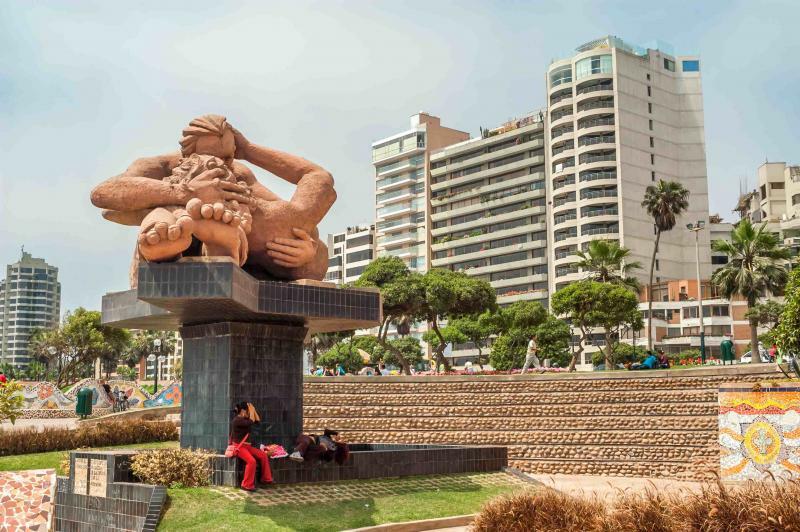 With the sweeping panorama of the sea to the rising metropolis of the modern city, Lima looms against the pearled architecture of the historic Plaza de Armas. The city is perfumed with fresh empanadas, the dough crisp and savory. The sound of crashing waves runs along the coastline. A stone statue sits along the boardwalk where two lovers embrace and are locked in an eternal kiss as the lively waves bring a sweet mist into the air. Stroll along the boardwalk of Miraflores and watch the gleam of the lighthouse circle over the sea. 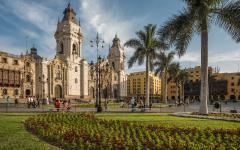 Your arrival in Peru brings with it the sensational sights of Lima and the coming majesty of South America. 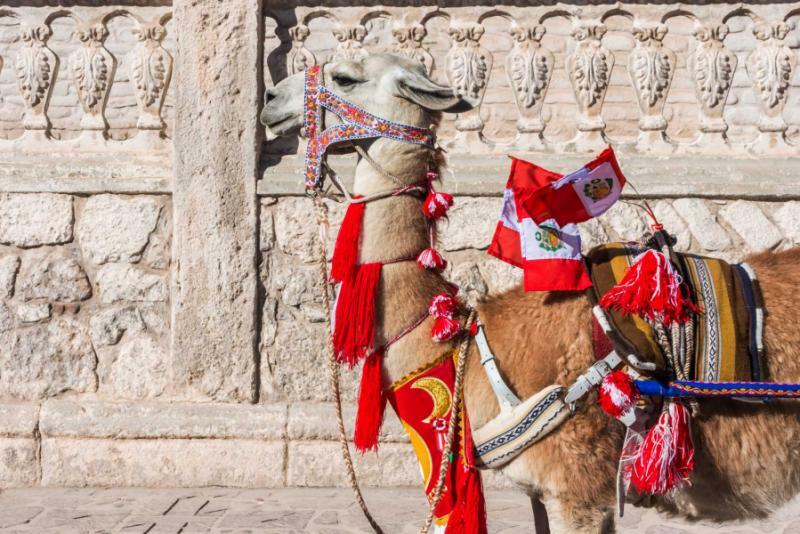 Browse the Peru vacation reviews to get ideas of what other travelers experienced while on their customized trips in Peru. Venture out into the expanse of the city on a guided tour where the fascinating Spanish colonial past sits in the historic center of the city. The Government Palace stretches the length of the square, off-white in the afternoon sun and drifting to a tinted gold in the afternoon light. In front of the Government Palace, flowers blossom with the white and red of the Peruvian flag. A mixture of blossoming carnations and juicy, zesty rotisserie chicken drifts through the historic center as your exploration of Lima continues. The canary yellow façade of the Church of San Francisco stands against its white trim and ornately carved entrance. The scent of myrrh drifts along the tiles. In the library, the air is perfumed with antique books that stretch along the walls like decorations. Climb beneath the base of the church to discover the catacombs, the original burial grounds of Lima. The air is damp and dusty. The lights flicker like old torches. As you wind through the cool air you are not just seeing history but are a part of it. Venture back out into the open sky of Lima where the sun begins to dwindle along the shore. 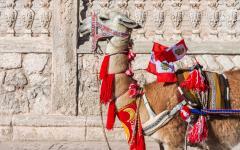 Today you will depart from Lima, leaving behind the City of Kings and arriving in the Inca capital of Cusco. The city is cooler from the mountain air, replacing the ocean mist with the smell of fresh, rich earth and wet cobblestones. The cobblestone streets are smooth and rounded beneath you as you wander through the city on a guided tour. The Cathedral of Santo Domingo stands where the Temple of the Sun once stood. The majority of the Spanish architecture in Cusco sits on the base of past Incan relics. Santo Domingo is deceptive in its size, standing at street level along the sloping alleyways of the city. Climb the stairs into the centuries-old cathedral and enter into the depths of what has become a collection of relics, art, and artifacts. The structure surrounds a courtyard and stands tall over an expansive garden where the rising hills are visible over the cathedral’s dome. The scent of fresh mountain air and frankincense rushes through the lush garden. The ruins of Cusco stand alongside and over city, while sometimes disguised beneath the edifice of a grand colonization. 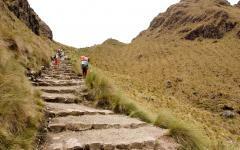 Venture into the Sacred Valley to see the beautiful village of Pisac. The traditional Andean village is colored with textiles around the famous market that stretches along the narrow streets. From the pinks and reds of the skirts, to the yellows and blues of the purses and hats, the beauty of the village is not just within its shades of artistic fabrics but within its people as well. The lingering ruins are divided into four areas that hover above the village. Along the citadel stands an Incan fortress, the stones smooth and partially covered in moss. The valley opens up beneath the sky and around the foothills of the mountaintops. Continue to Ollantaytambo, an Incan city that has been preserved by its inhabitants. You can hear the gentle flow of ancient irrigation canals from when the city was first constructed. The ruins of ancient Ollantaytambo climb up and into the mountain overlooking the village and its people. The terraces are large and wide stretching along the mountainside. A single staircase leads into the larger collection of ruins where you can find the Casa del Sol. The monolithic temple stands beneath the craggy peak of the mountain, and you can see the smooth carvings jutting from the boulders. 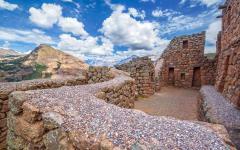 Enjoy the scent of arid mountain air before you venture back into the village and return to Cusco. Venture deeper into the Sacred Valley where the clouds sit within the forest. The cool mist of the morning spreads along the trees. You can hear the gentle rush of waterfalls careen through the mountainside. Bright orchids blossom along the canopy speckling the lush green with bursts of white and purple. Arrive at Wiñaywayna, which means “forever young,” because of the herbs that were once grown around the site. The ruins climb up the mountainside, perched on top of thin terraces that separate Wiñaywayna into two parts. The remaining stone looks like a lost castle against the green hills. 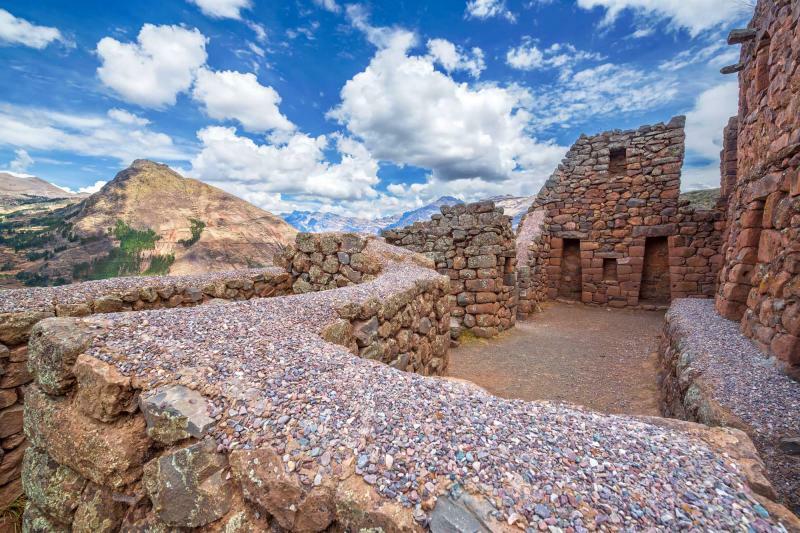 The stone buildings stand tall and open against the outburst of forest along its edges, while the Urubamba River rushes along the valley floor. Continue your exploration along the steep stone steps that bring you to the Sun Gate. The heat of the day has taken the clouds away. The sun glistens high in the sky. The three remnants of pillars at the Sun Gate are smoothed stone with even smoother slabs surrounding the once full temple. Beyond the pillars, look out onto a lowered citadel and you can see the Lost City of Machu Picchu framed between the remnants of the Sun Gate. The city sits proud and tall over the valley below as the deep gray stones roll over the plateau. Your view looks more like a painting than something tangible to touch and wander through. Travel down the footpath and into the city where you can see the tiers climb up the steep mountainside. Along the terraces you can see the stunning series of 16 connected ceremonial baths that meander through the ruins, running next to a flight of stairs. In the Sacred Plaza you can watch the Urubamba River flowing through the foothills of the valley floor, and in the distance stands the snowcapped peak of Cordillera Vilcabamba. The light of the morning rises over the valley and kisses the mountaintops. 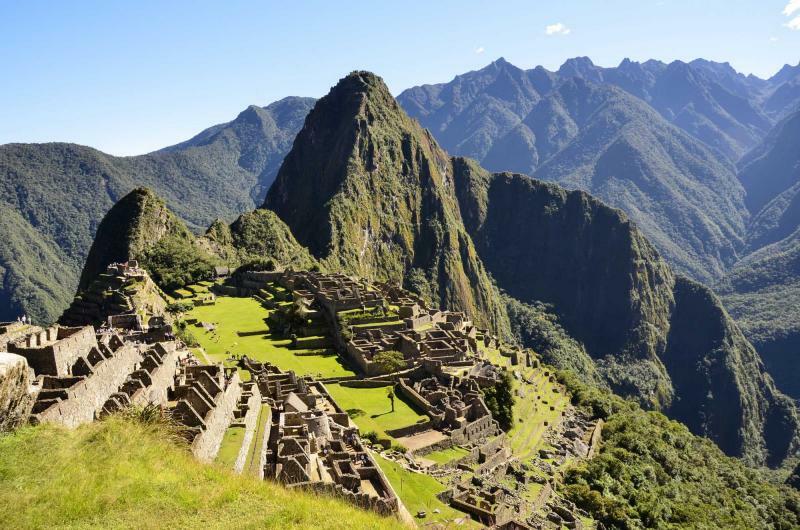 Return to Machu Picchu and traverse the breathtaking ruins once more. Whether you wander through the stones of the city or beside a cliff on the Inca Bridge, the majesty of the Lost City never fades. The peak of Huayna Picchu lingers over the city like a fortress; with only 200 visitors allowed to venture up to the peak, the view is unparalleled and the experience unique. Pass the security shed where you can sign your name in the history books as one of the few people per day allowed to visit. The steps are steep and rigid. The stone wall feels cool on your palms, while the narrow stairway, at moments, can feel practically vertical. Your heart races and your cheeks feel flush. Arrive at the peak of the mountain where the air is crisp and cool and you can look at the surrounding mountain tops at eye level. The city has been dwarfed by your climb, like a Lego recreation of the Wonder of the World. Sporadic clouds drift below the limestone and nothing could ever feel more rewarding. 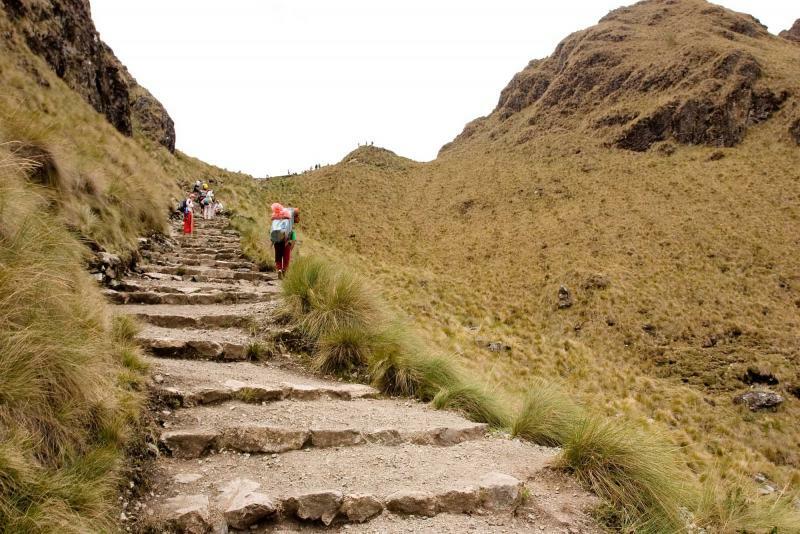 Eventually, you will make your way down the mountain, onto the train, and arrive in Cusco for the evening. But for now, you take another breath and stare out over the grand expanse of Machu Picchu and the Andes. 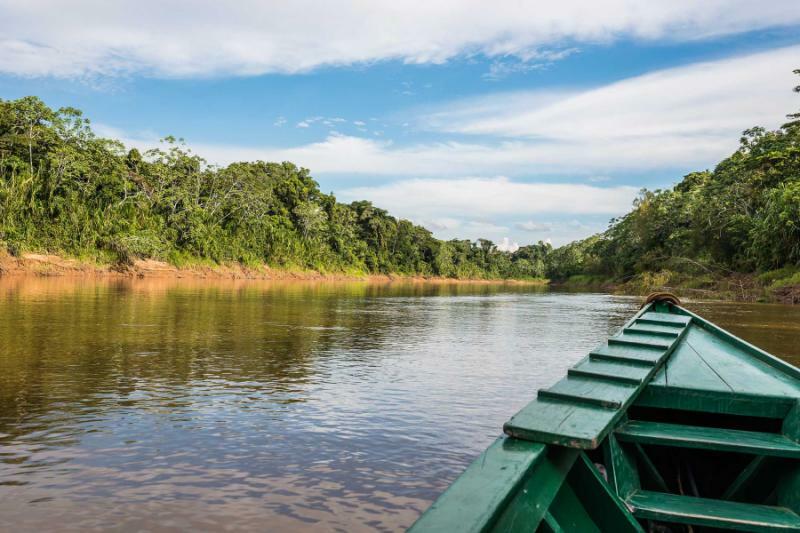 From the wild sights of the Andes, where stone ruins scale mountains and watch over rivers, to the wild safaris, today you will journey to the Amazon Basin to experience the sensational wildlife of the rainforest and beyond. Arrive along the north banks of the Madre de Dios River where a boat ride will take you to the famous Manu Wildlife Center. The gentle trickle of the river makes it seem like the water isn’t moving at all. Macaws call out in the lush, dense trees on the riverbanks. The air is warm and damp. The boat reaches the wooden dock of the wildlife center and the rainforest, so far, is just as beautiful as you knew it would be. Follow your guide into the trees of the rainforest and enjoy your first exploration of the Amazon. The wildlife center is surrounded by forest trails that meander through trees, beside lakes and the river, and beneath a magnificent canopy. The green is interspersed with blossoming flowers that bring shades of pink and bright blue. You can hear the deep call of Emperor Tamarin, a furry monkey with whiskers that dangle from their faces like a white Fu Manchu. The forest floor is carpeted with moss and brush. The trees jangle in the welcomed breeze. Birds chirp and call, monkeys howl, and as the stars begin to twinkle above the forest canopy, the sounds of the wild start to drift into songs. 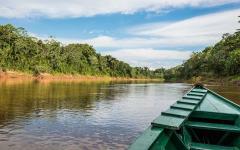 Your full day Amazon safari begins today with a boat ride downstream. The morning sounds echo through the trees adding vibrancy to the vivaciousness of the rainforest. Walk through the tree line and arrive at the pink cliff beneath dangling vines, a sheer end to the trees up above. You have arrived at the Macaw Clay Lick. 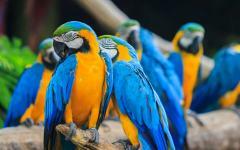 Macaws linger in the trees in small groups watching over the eroded clay bank of the river. 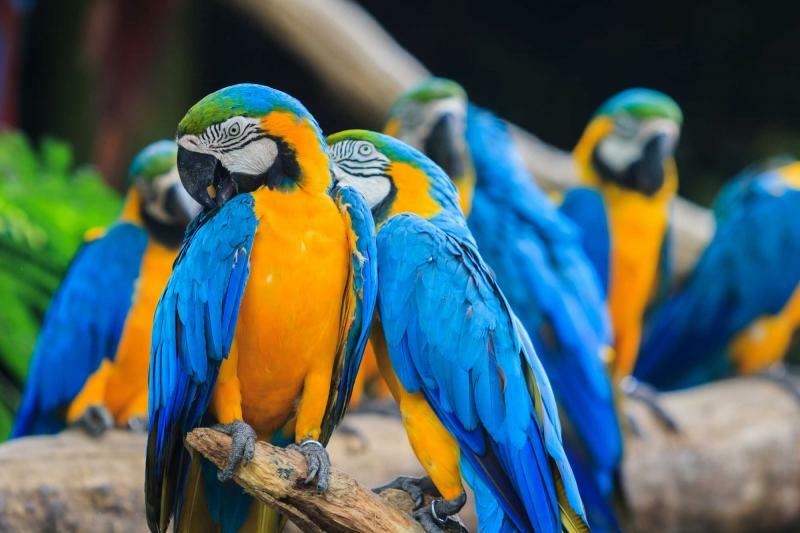 It starts slow, with one or two brightly colored macaws, their red feathers drifting into yellow and green, until fading into blue, landing on the cliff and nibbling at the clay. Then another small group lands on the bank until a colorful swirl of macaws drift from the trees. When the frantic rush of the night sweeps through the rainforest you can hear the call of monkeys and caw of birds rushing through the canopy and along the forest floor. Follow your guide to the Tapir Clay Lick, known as the most active tapir lick in the Amazon. Tapirs are mammals that resemble a mixture of a giant hog and an anteater. Their black and gray skin helps them blend into the dark nights beneath the trees. The clay helps absorb and neutralize toxins that stem from their vegetarian diet. As they chew through the clay you can hear their deep grumble roll along the forest floor. Tapirs are shy and cautious, which means that your chance to see them up close in the wild is one of a kind and precious. The morning air is cool beneath the trees and stretches through the rainforest. Venture along the trails around the wildlife center and come to an oxbow lake filled with water lilies and sunken logs. The scent of sweet water rises from the blossomed white lilies, subtly sweet with a hint of lemon, as the pearl white petals spread. Cruise through the lake and see the giant otter, their faces similar to sea lions, as they swim through the water. They waddle up to the shore and stretch out on a log where you notice their size; some growing over five-and-a-half feet. Monkeys rush through the trees; the leaves dangle and waffle, the serene air growing loud with hoots and calls. In the evening the caiman drift through the water and lay along the banks of the lake. You can shine a light through the trees and see a red glow on the forest floor; it’s the reflective eyes of the caiman. The morning brings in the rich aroma of freshly brewed coffee and the awkward grunting sounds of the hoatzin. The hoatzin is a rust-colored bird with a Mohawk and plump body, giving it the look of a punk-rock chicken, and their wheeze and grunt precede them almost everywhere they go. Follow your guide through the trails of the forest to enjoy a walking safari along the rainforest floor. Look up into the trees to see the agile and graceful spider monkey. Their limbs are lanky giving them a long reach with both their hands and feet. They range in color from black and brown to white, both curious and shy in the canopy. From the top of the observation tower, you can stand almost eye to eye with the monkeys as they examine your presence, unsure whether to come closer with curiosity or run with caution. The night settles over the canopy and the monkeys swing to their nests. Awaken early to the morning sounds of the rainforest, the sounds of the trickling river running along the forest floor. This morning you will enjoy a delightful breakfast cruise on the river, drifting through the Madre de Dios with the savory smell of eggs and the sweet taste of mango filling your senses. You will stop in the gold-mining town of Colorado where you can see men pan mining on the riverbanks, hoping to find the gilded rocks glistening in the sunlight. You can see the silhouettes of great black hawks circling the sky, waiting to swoop down into the water for a decadent meal. The swish of pan mining disappears, the gentle trickle of the river becomes a memory, and you climb aboard your flight and return to Lima, settling into your comfortable and luxurious hotel. Today you will leave the wonders of Peru behind you as you adventure farther into the majesty of South America and begin your Argentina travel. 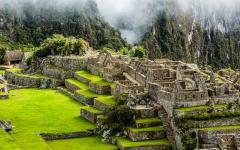 From the Andes to the Amazon, you have wandered over mountains and through rainforest canopies, seen the ruins of Machu Picchu and the elusive tapir. 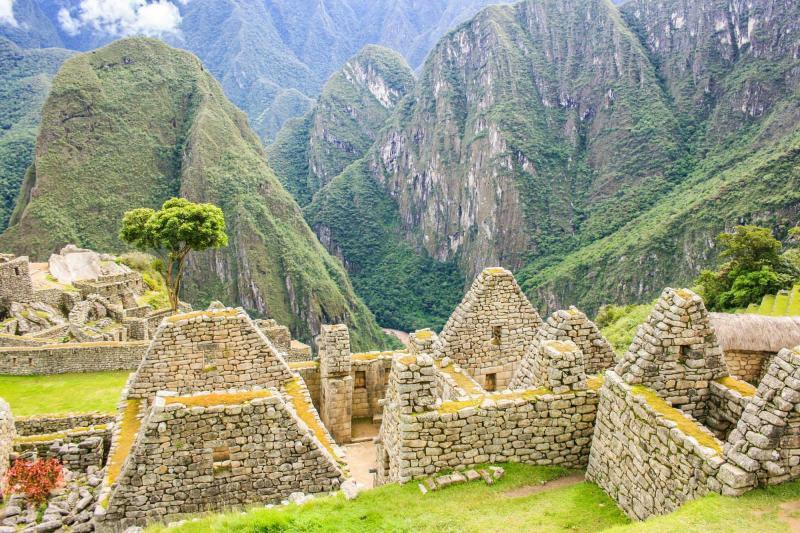 Your time in Peru brought you the sensational sights of history and nature, and there is always more to see. 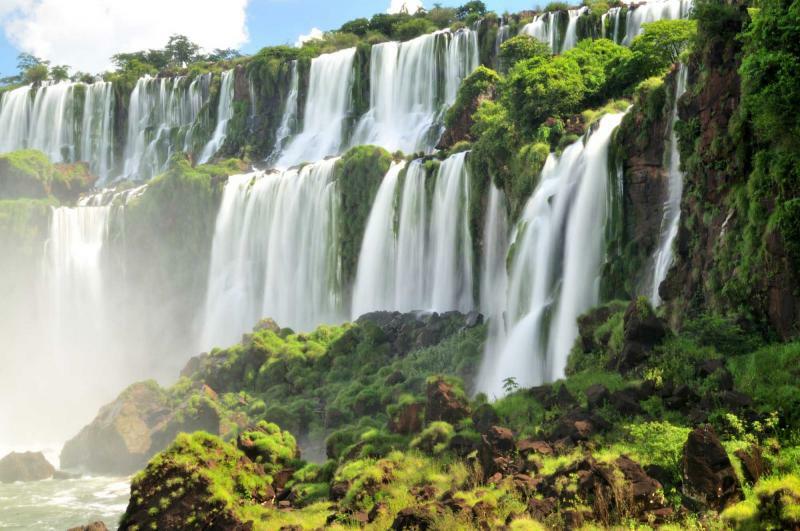 Climb aboard your flight and make your way to the fabulous city of Iguacu, Argentina. 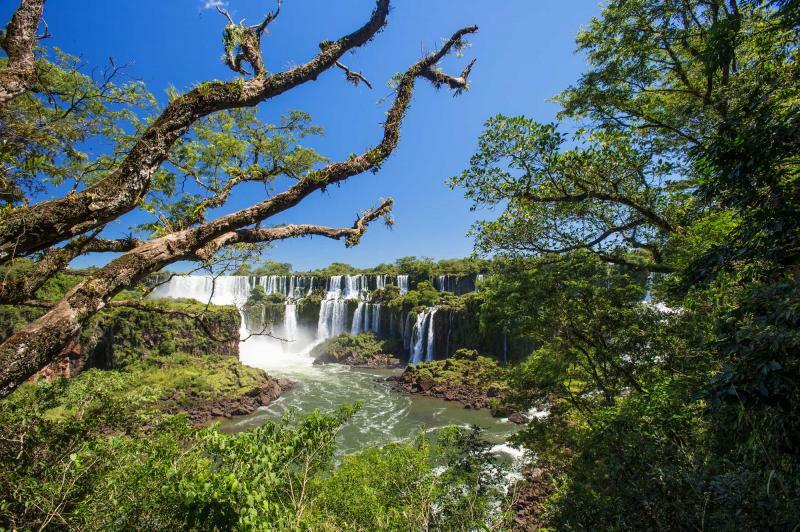 The northeast corner of Argentina rushes with excitement, and you can practically hear the sound of the falls from every corner of Iguacu. The city is quaint and warm with lush trees and open space. The Iguacu River is dived by the falls into upper and lower segments. Arrive at the gates of Iguacu Falls and get ready to enjoy the breathtaking beauty of one of the largest waterfalls in the world. You can see the mist from Devil’s Throat from almost very angle, spouting up like a rambunctious cloud. Follow your guide along the many paths that meander through the park where you can visit some of the 275 falls that stretch over one-and-a-half miles of the river. People try to take selfies beneath the smaller falls while mist rises around them; watching people scramble to protect their phones and cameras can sometimes be as fun as watching the water careen down the shining limestone. The falls stream over the cliffs, often in tiers, and create a multitude of water and a sensational sight. Count the rainbows while you stroll along the wooden boardwalks; the shades of light sparkle and illuminate more of the beauty of the falls. To deeper explore the falls you can enjoy a boat tour that will take you to the hard to reach areas, around the central island and to witness the tumult of Devil’s Throat; this u-shaped stretch of the falls is almost 300 feet high, and around 500 feet by 2,300 feet long. Getting close to Devil’s Throat will allow you to hear the powerful thunder of rushing water and see its trembling dominance through the awesome mist. Today you will depart from Argentina and begin your Brazil vacation. 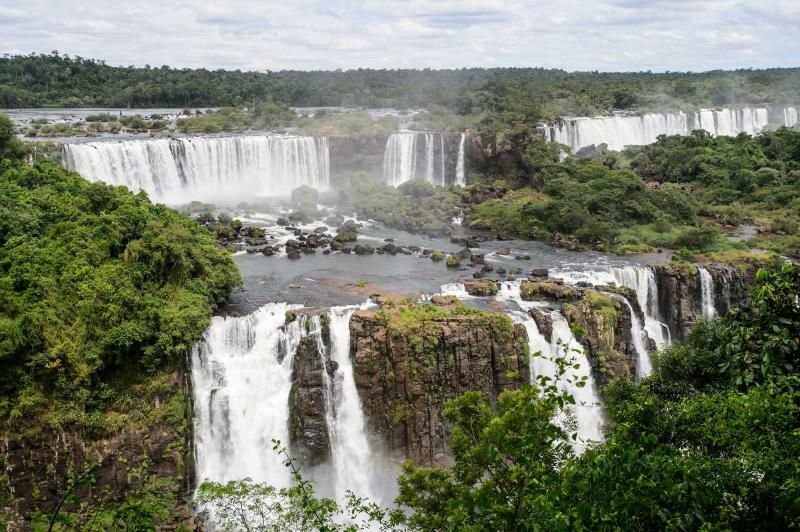 Take in the wondrous sights of Brazil and enter the gates of the Iguacu National Park where the lush, subtropical vegetation leads to the Brazilian side of the falls. Rich green and vibrant yellows give way to the thunderous rush of water and the vast open air. Although the majority of the falls are across the Argentine border, the Brazilian side of the park brings with it a different adventure. The air is cool and misted from the rushing water. Stroll beneath the rich canopy, down the canyon and arrive at the panoramic view of the cascades where more than 200 waterfalls stretch through the expansive park. The world almost glows with a mixture of lush green trees and white water splashing into the earth. You can see the water pooling in the terraces before overflowing and dropping into the lower realm of the river. The sound pounds the sky and the water flows effortlessly. 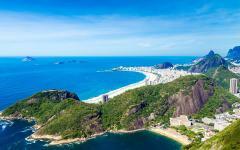 Continue your journey by venturing deeper into Brazil and arriving in the magnificent city of Rio de Janeiro. Settle into the city with a luxurious dinner at a traditional and fabulous Brazilian barbecue, where the fragrance of succulent, slow roasted meat drifts through the restaurant, the decadent spices linger on your tongue, and the warm atmosphere of the city wraps around you. The city of Rio shines like a rainbow in the morning sun. The people are as colorful as the buildings with bright, cheery smiles absorbed by the city and by you. The smell of the ocean drifts along the streets and you can hear the gentle crash of the waves. The waves are a light sound compared to the thundering falls of Iguacu. Begin your day with a drive along Rodrigo de Freitas Lagoon, where the wondrous buildings line the shore of the reflective salt waters. Then, you will arrive at the base of Corcovado Hill. You can see the large silhouette of the Christ the Redeemer statue hovering over the city. Board the comfortable train that meanders to the top of the mountain, the plush cushions relaxing you as the train climbs along the hillside. The Christ statue is one of the new Seven Wonders of the World, giving you the chance to have seen two of the seven Wonders in one adventure. The air is quiet at the top of the hill when you exit the train. The view of the city expands below you, from the seaside up into the hills beyond. A short elevator ride brings you to the base of the pearl statue, Christ’s arms spread wide over the city in an endless embrace. 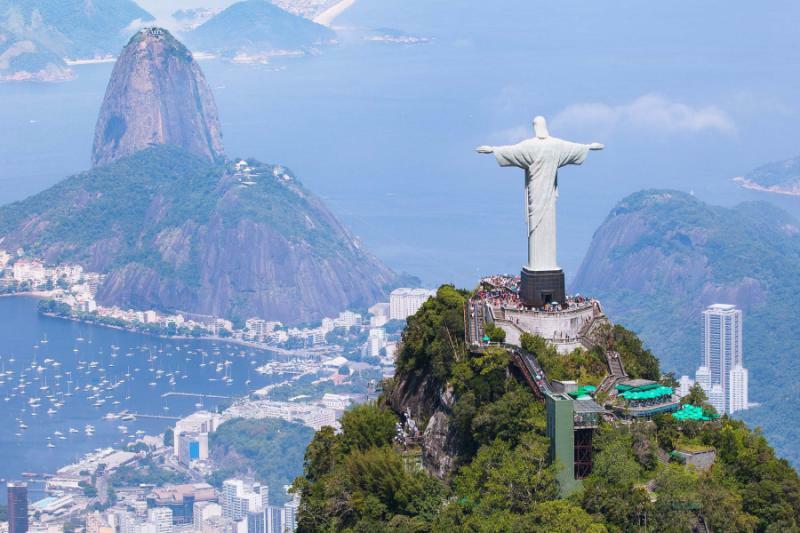 The statue and the city make for a breathtaking experience, from the view beneath Christ, showing how large the statue truly is, to the view of the city, showing how large Rio truly is, and both stunning in their opulence. Continue your exploration of the city with a visit to Sugar Loaf Mountain, a symbol of the city almost as iconic as Christ the Redeemer. The mountain rises from a small peninsula at the entrance of Guanabara Bay and resembles a confined pack of sugar loaf. The scent of the mountain fills the air, less like sugar and more like the fresh mint of pine and the sweet salt of the ocean. Journey to the top of the mountain in a glass cable car, over 800 feet above sea level. The entire bay sparkles in the afternoon sun as you can see the sands of distant islands speckled along the horizon. A second cable car takes you to the top of Sugar Loaf rising the extent of the almost 1,300 feet above sea level. 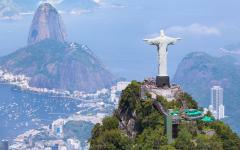 You will see the entirety of Rio on display, including the famous beauty of Copacabana Beach and Christ the Redeemer. 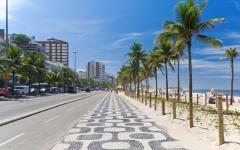 The air is pure and you can almost hear the crashing waves and laughter from the distant sands of Copacabana. 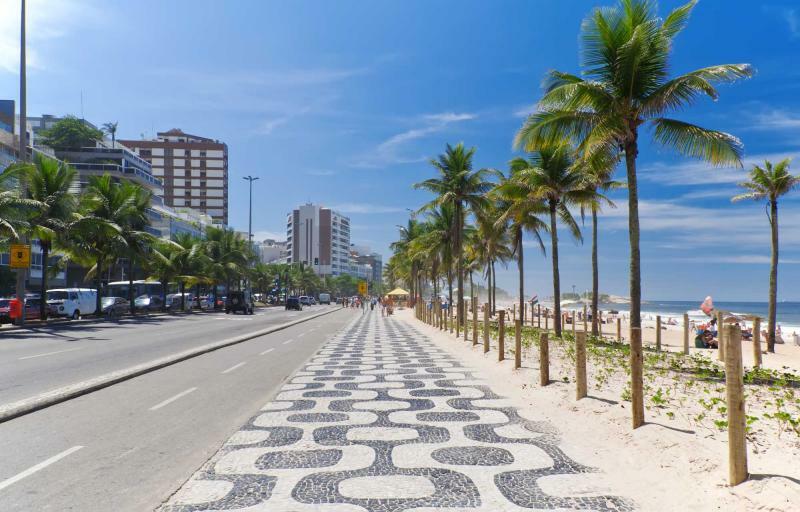 Step into the early Rio sun and listen to the rhythm of the streets on a guided walking tour of the city. The history of the city is alive in its architecture, in its streets, on its beaches, and in its people, from the Portuguese colonial past to the rhythmic beats of the everyday. You can feel the extra pep in your step as you make your way along the Travessa do Mercado and to the Paco Imperial, the Imperial Palace. The palace is a beautiful white building with a red brick colored roof. The ornately tiled grounds lead to the main entrance where a variety of windows open up to the city. From its initial grandeur to its shifted façade, the building now resembles its former beauty and resting history. You will also come across the largest of the Centro Cultural Banco do Brazil, meaning the Bank of Brazil Cultural Center, located in an art deco building in the urban center of the city. You can almost hear the music and the art spill from the doors, and vibrant colors fill every inch of the streets. The night brings with it the rhythm and sounds of thumping bass and brass bands and large, vibrant feathered hats and flower perfume. 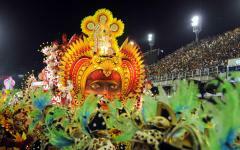 Enjoy a Samba show within the heart of Rio, where the culture of the city and the country combine to give you a deeper connection and understanding of the glorious folkloric traditions. The music fills the room and makes you want to dance. The bright yellows, pinks, greens, and blues shine from the lights and from the glittering costumes. From the African roots of Samba to its now iconic connection to the country of Brazil, let the music overtake you, and sink into the feeling of Rio. Today you will wave goodbye to the feathered hats and unfettered beaches of Rio. You have wandered the streets and seen the wonders of the architecture, ventured over hilltops to visit with Christ the Redeemer, and danced with the colorful feathers of Iconic Brazil. Your journey through South America has taken you from the mountains of Peru to the falls of Iguacu and down to the wonders of Rio; though it is time for your journey home you will never forget the colors of the Andes, the culture of Brazil, and the exploration of the Amazon. "This was a bucket list trip and this travel agency made it possible!" "the personal attention I received from Analia was way beyond my expectation."